Until recently, only DSLRs had the autofocus speed, continuous shooting rates and lens selection for serious wildlife photography. Today, a few mirrorless cameras have essentially closed the gap, with cameras like Sony’s a9 offering faster-than-DSLR speed capture rates, plus totally silent operation, a decided advantage when you’re trying not to disturb your subject. 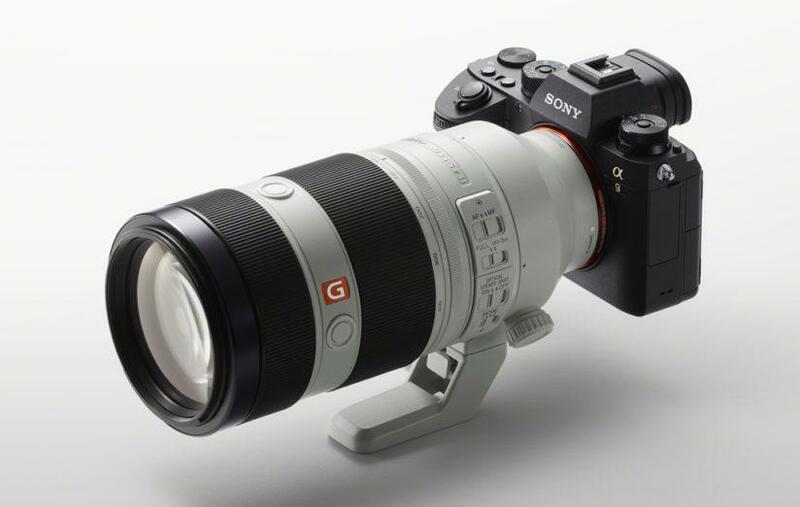 And while professional super-tele primes (500mm and 600mm) are still the domain of Canon and Nikon, the forthcoming Sony 400mm ƒ/2.8 prime expected later this year indicates that as mirrorless systems mature, the array of lens options available for them will continue to expand. That said, depending on your photographic style, the end use of your images and your budget for equipment, there are many terrific cameras—both DSLR and mirrorless—that are up to the challenge of wildlife photography. Cameras For Wildlife Photography: Full Frame, APS or Micro Four Thirds? Telephoto lenses are one of the most important requirements for wildlife photography, bringing you close-up views of your subjects while allowing you to remain at a safe and respectful distance. Though larger full-frame sensors are in some respects superior to APS-C sensors, the magnification factor of a smaller sensor enhances the telephoto reach of your lenses. For example, comparing a 20-megapixel full-frame camera with a 20-megapixel APS-C camera, the APS-C model will give you approximately 1.5x magnification of your lens’ focal length, making a 400mm lens equivalent to a 600mm lens. Keep in mind that this is only true if you’re comparing two cameras with the same resolution, as a full-frame image from a higher-resolution camera can be cropped for a similar result. Learn more about working with extreme telephoto lenses for wildlife photography. Micro Four Thirds cameras offer even greater magnification of 2x. This allows Olympus and Panasonic to design lighter, more compact telephoto lenses for their Micro Four Thirds cameras compared to zooms and primes with equivalent focal lengths for larger-sensor cameras. For example, the Olympus M.ZUIKO ED 300MM F4.0 IS PRO is equivalent to a 600mm prime on a full-frame camera—but at 3.7 inches in diameter, 8.9 inches in length and 2.8 pounds, this lens is just a little over half the size and more than 60 percent lighter than the AF-S NIKKOR 600mm f/4E FL ED VR (6.5-inch diameter, 17 inches in length and 8.4 pounds). The Olympus lens is also approximately one-fifth of the price at $2,499 versus the Nikon at $12,299. 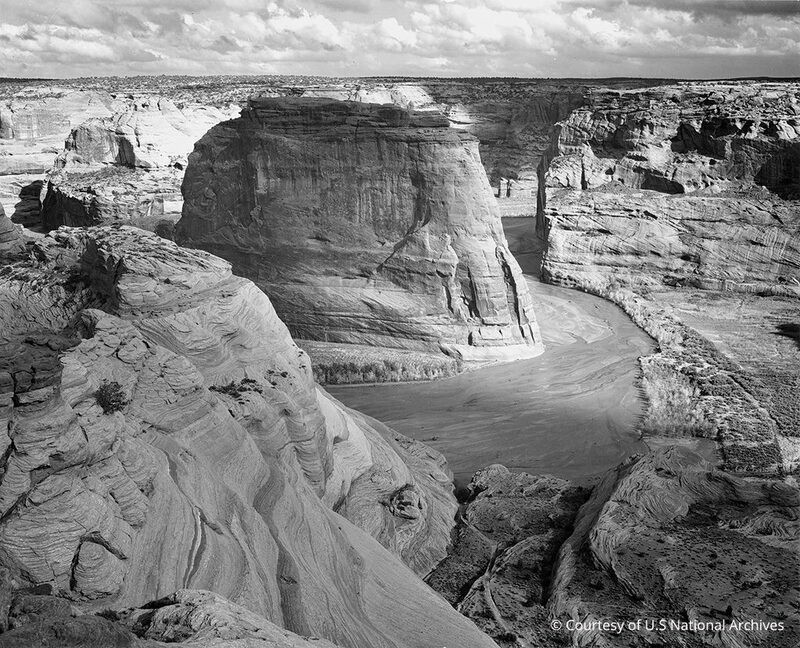 While the two lenses aren’t directly optically comparable—the professional primes from Nikon and Canon are superior in many respects—the point is that smaller-sensor cameras do offer an advantage of lighter, more compact lenses, and for many photographers, any trade off in overall image quality is negligible compared to the affordability and portability benefits of these systems. 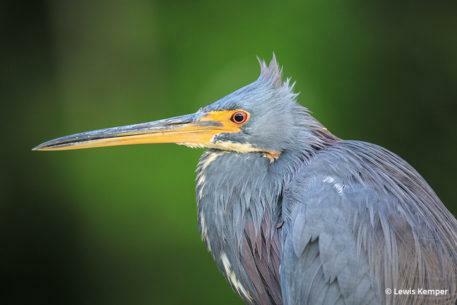 Read a pro’s perspective on the advantages of Micro Four Thirds for wildlife photography. 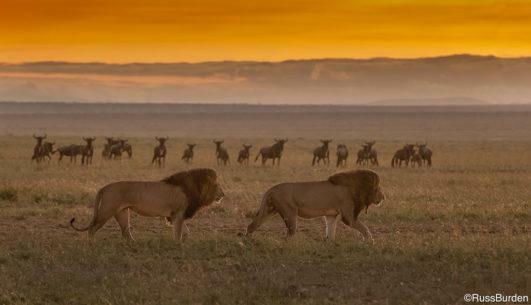 For wildlife action, AF speed and accuracy are prime considerations. Definitive numerical ratings aren’t available for AF performance, but higher-end cameras typically deliver better AF performance than entry-level bodies, and newer models with the most up-to-date AF technology improve upon earlier models. More AF points are potentially an advantage, but evaluate the entire AF system. Cross-type points provide additional information to the AF processor and, therefore, improved accuracy. Algorithms and processor capabilities also play a major role—newer AF systems with fewer AF points and more powerful processors will potentially outperform older systems with more AF points. Multi-point AF is most useful when your subject is in front of a relatively uncluttered background. Otherwise, it may be more effective to simply use the center AF point, lock focus and then compose, or for stationary wildlife, to activate the AF point over the animal’s eye that’s nearest to the camera. While cameras with focus-tracking capabilities can greatly enhance your chances of success, they’re not infallible, so it’s good to be able to fall back to basic technique and an understanding of your camera’s available settings. Review your manual’s recommendations for AF mode selection and experiment with your camera’s AF options to see which work best for your style of shooting. Your lens also has a significant impact on autofocus performance. 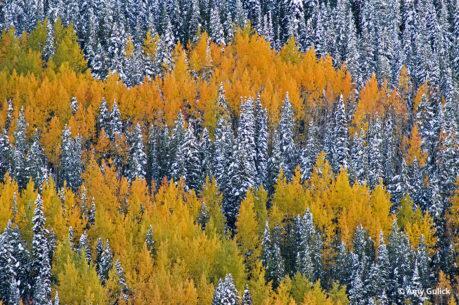 The availability and number of cross-type AF points may be limited by your lens selection. Professional super-telephoto lenses have faster motors and smarter AF algorithms, as well as finer optics than lower-end lenses. 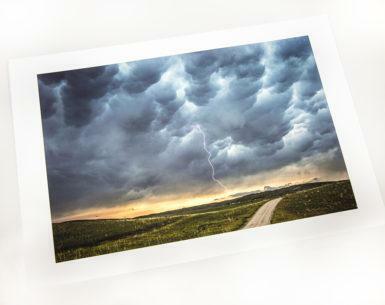 They’re more durable, with better sealing against weather and dust. They also cost a lot more, and are much larger and heavier—but that’s the price of superior performance. Did you know your camera’s AF system operates with the lens wide open at its maximum aperture? When you activate the shutter, the lens then closes down to your selected aperture immediately before the shutter opens. Most AF systems require a minimum aperture of ƒ/5.6, which usually isn’t a problem. However, if you use a teleconverter to extend your focal length, you’re also reducing the effective maximum aperture of your lens—the stronger the teleconverter’s strength, the greater this reduction—making an AF system that’s compatible with apertures as small as ƒ/8 preferable for telephoto work. While fast continuous capture rates aren’t absolutely critical for most wildlife photography, they’re certainly beneficial. More frames per second increase your chances of recording the perfect expression, gesture or wing position for moving wildlife. In addition to frames per second, the number of frames that can be stored in a single burst is also important. The larger the file, the faster your camera’s buffer will fill, so if large bursts of images are desired, shoot JPEG instead of RAW, as you’ll be able to capture significantly more images per burst. Regardless of your selected file type, to take full advantage of your camera’s speed, use the fastest-rated memory cards that your camera supports. For best image quality, it’s always preferable to set lower ISOs, but wildlife photography often means shooting in low-light conditions near dawn and dusk when higher ISOs are needed. Considering the minimum aperture requirements of AF systems, plus the creative flexibility of selecting the right aperture for your desired depth of field, cameras that offer wider ISO ranges provide a significant advantage for wildlife photography. Though noise increases at higher ISOs, it’s better to compromise with noise than with sharpness or not getting the shot at all. More light translates to less noise, and larger sensors collect more light due to their increased surface area. That’s one reason why full-frame cameras are able to offer comparably higher ISO equivalents and provide better image quality at higher ISO settings than smaller sensors. Following is a selection of DSLRs and mirrorless cameras which we recommend for wildlife photography. While not a definitive list, these models are excellent options from their respective makers. When selecting a camera, also consider the telephoto lenses and teleconverters available for the models you’re evaluating. Canon’s top professional DSLR, introduced in 2016, is arguably the best camera for wildlife photography, taking into account its speed and the lens options in the Canon system, including super-tele primes and teleconverters. It’s the fastest DSLR currently available, with 14 fps capture using the optical viewfinder or up to 16 fps when shooting in Live View. The AF system is also impressive, with 61 AF points, 41 of which are cross-type and compatible with apertures as small as ƒ/8. It’s no wonder why so many pro wildlife photographers shoot with this camera, but the price is steep for the more casual shooter. 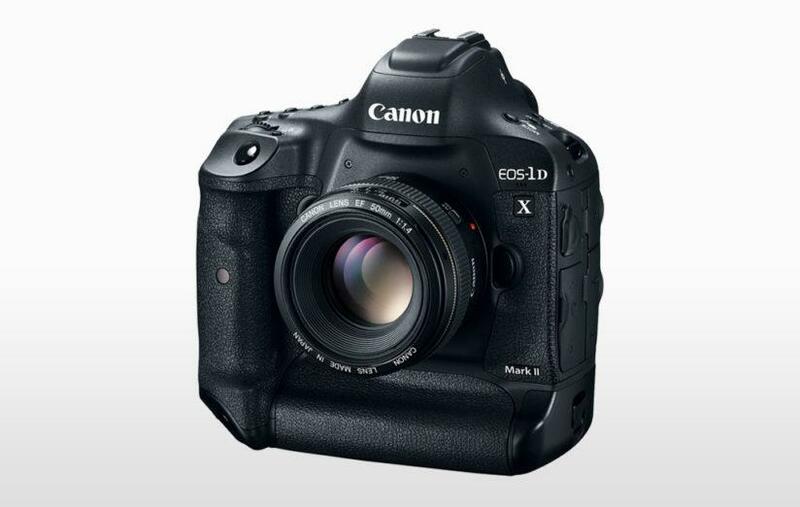 For more on this camera, read “Tech Tips” columnist George Lepp’s field test with the EOS-1D X Mark II. Check the price at Best Buy! The top APS-C option from Canon, this DSLR features a 65-point, all cross-type AF system (with compatible lenses) for tracking fast-moving subjects. The center point of the AF system works with apertures of ƒ/8 or larger, allowing AF compatibility when using tele-extenders. Like the EOS-1D X Mark II, the AF system can function in low-light situations down to -3 EV, which is approximately the luminance of moonlight, helpful when shooting in early morning and evening light when wildlife tend to be most active. New this year is the first Fujifilm X Series model that’s fast enough to make our list of cameras for wildlife photography. The Fujfilm X-H1 can shoot at speeds up to 14 fps with its electronic shutter, or 8 fps with its mechanical shutter. The latter can be increased to 11 fps when using the optional Vertical Power Booster Grip VPB-XH1, which also extends shooting time to about 900 still frames. 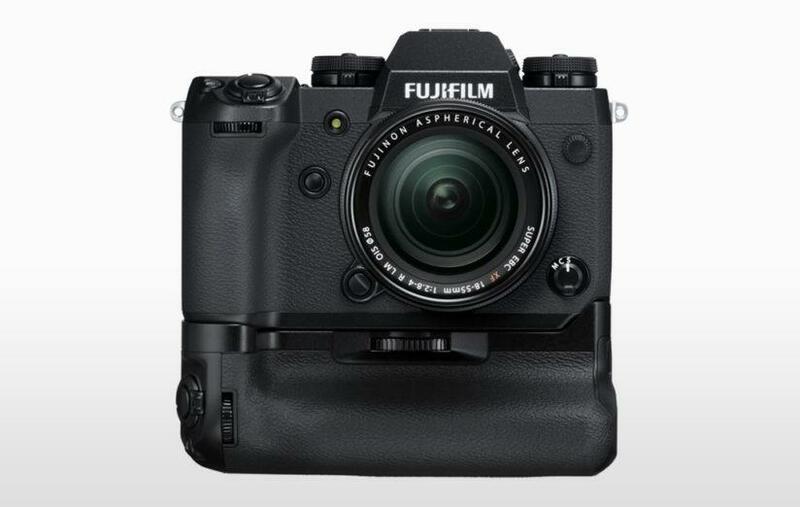 The 24.3-megapixel APS-C mirrorless model is the first in the X Series to include in-body image stabilization, providing up to 5.5 stops of 5-axis correction with all Fujinon XF and XC lenses. 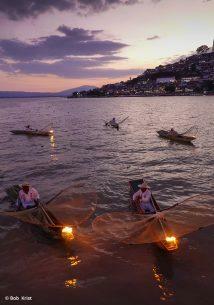 The camera’s AF system is designed for low-light performance and is compatible with apertures as small as ƒ/11. This is great news for wildlife photographers, as it means you can use the Fujinon XF100-400mmF4.5-5.6 R LM OIS WR with the Fujinon 2x Teleconverter XF2X TC WR for a 35mm-equivalent range of 304-1218mm without sacrificing autofocus. Check the price on B&H. Nikon’s flagship is ideal for wildlife, promising extremely fast and precise AF, with 153 AF points, 99 of which are cross-type, and 15 that can function at apertures as small as ƒ/8. The AF system also features a dedicated processor, and works in extremely low-light conditions, down to -4 EV. It can capture 12 fps using the viewfinder or 14 fps with the mirror locked up. It also offers an astounding ISO range, expandable up to 3,280,000. While images taken at that extreme will be very noisy, it’s an indication of the sensor’s excellent ability to collect light in dimmer conditions at the ends of the day. Nikon’s system includes a robust range of premium telephoto lenses and teleconverters, making this camera another top choice of wildlife photography pros. Introduced in 2017, the D850 is one of the best DSLRs ever made and an excellent choice for wildlife work. It offers massive 45.7 MP stills and can capture 7 fps at that full resolution, or up to 9 fps with the optional MB-D18 Multi Power Battery Pack. 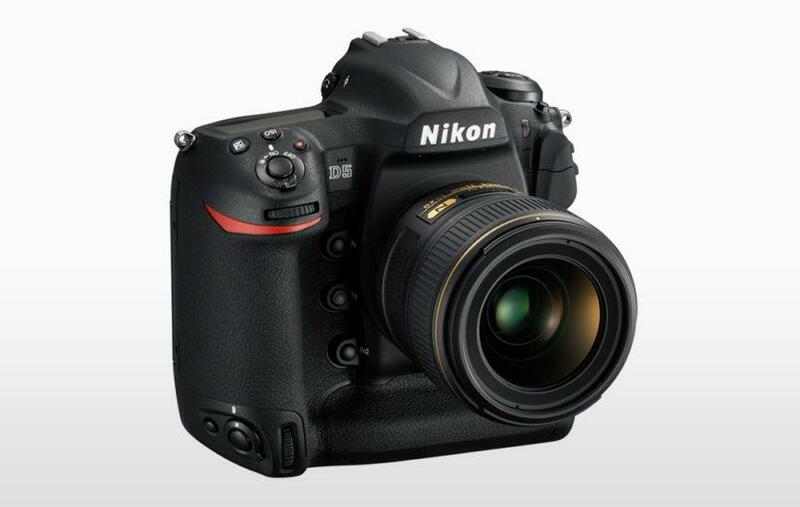 Like the D5, the D850 includes Nikon’s 153-point, Multi-Cam 20K AF system, which features 99 cross type sensors, 15 of which are sensitive to ƒ/8. Of particular interest to wildlife photographers, the D850 offers a silent shooting mode when using its electronic shutter, with frame rates up to 6 fps at the camera’s full resolution with exposure and focus locked, or up to 30 fps at 8.6-megapixel resolution in DX mode. That latter option will be particularly advantageous for telephoto wildlife work because, while it does produce a lower-resolution image, it’s incredibly fast, silent and the DX mode crop means your focal length equivalent is magnified by 1.5x. 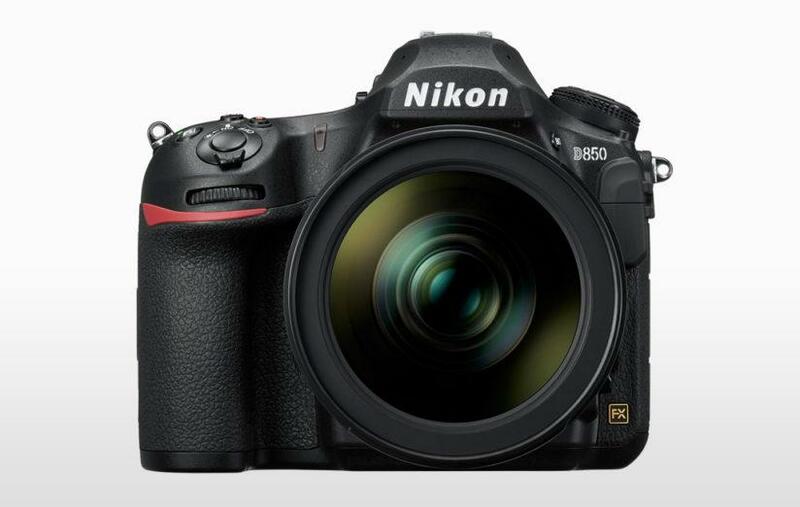 The D500 includes the same AF system as the top-end pro D5, as well as its EXPEED 5 processor. Though it’s not quite as fast as the D5, it’s still very speedy at its max rate of 10 fps. It also features the same level of weather sealing as the pro model D810, and though less than the D5’s astronomical ISO max, offers a remarkable ISO range, expandable to 1,640,000. 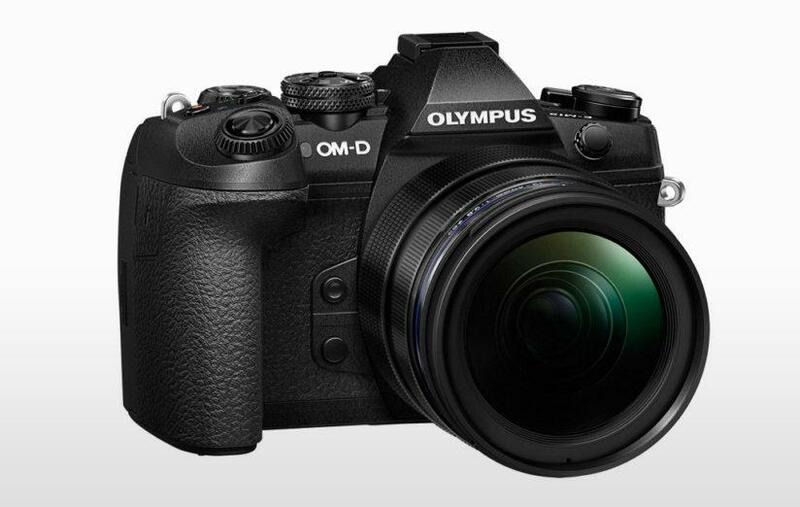 The top model in the Olympus OM-D Micro Four Thirds line, the OM-D E-M1 Mark II is capable of capturing up to 18 fps with continuous AF tracking using its electronic shutter, or up to 60 fps with focus locked. The AF system employs 121 all cross-type phase detection sensors, and an AF Limiter function can speed up focus acquisition with three customizable focus distance ranges when working from a consistent distance from your subject. The camera’s unique Pro Capture mode helps you record the decisive moment with wildlife action by buffering up to 35 frames when you depress the shutter release halfway, and recording an image plus those 35 previous frames when you fully depress the shutter. The E-M1 Mark II also includes 5-Axis image stabilization for shooting handheld. 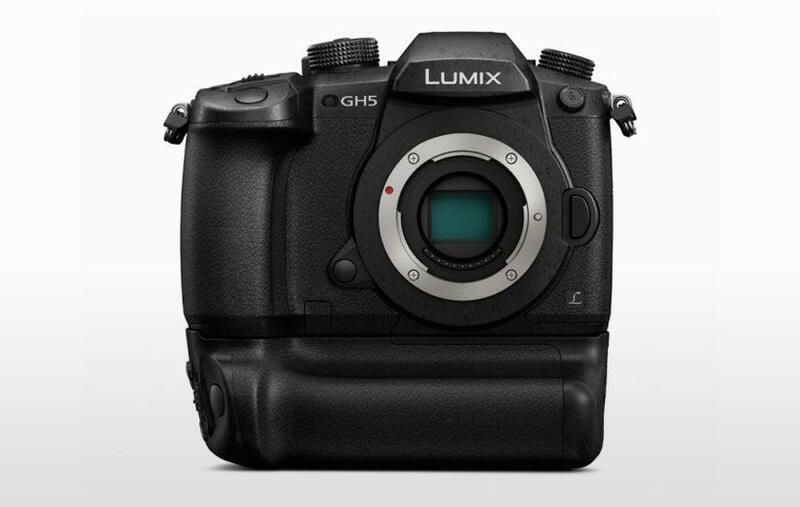 Another Micro Four Thirds option for wildlife work is the Panasonic LUMIX GH5. The 20.3-megapixel camera can capture full-resolution images at up to 9 fps with continuous AF using its mechanical shutter (12 fps with focus locked), but switch to the 6K PHOTO mode to record 18-megapixel images at up to 30 fps, or 8-megapixel stills at up to 60 fps in 4K PHOTO mode. Up to 5 stops of image stabilization are possible with the camera’s 5-axis Dual I.S. system. The body is built to protect against moisture and dust and can operate in temperatures as low as -10 degrees Fahrenheit. 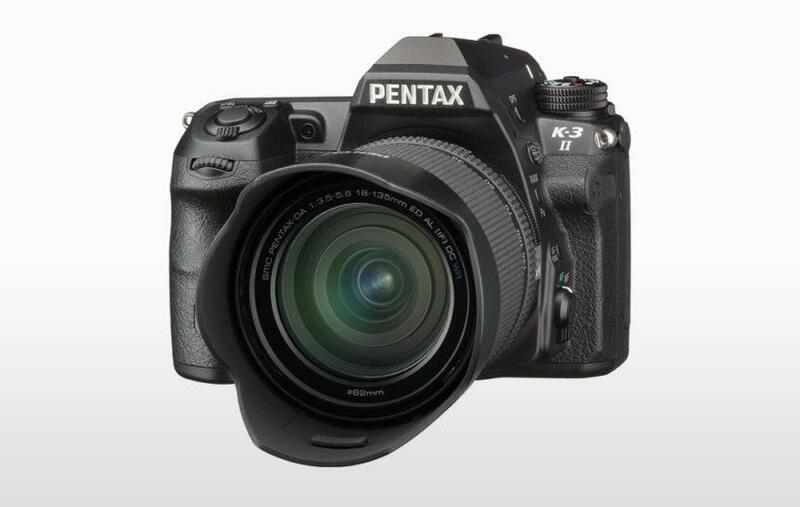 Like the full-frame Pentax K-1, the APS-C K-3 II is well protected against the elements, with 92 seals. It’s the camera’s speed lands it in this list—it’s roughly twice as fast as the K-1 at 8.3 fps versus the K-1’s 4.4 fps. The 27-point AF system includes 25 cross-type points and can function in low-light conditions down to -3 EV. Also like the K-1, the K-3 II has image stabilization built in, offering up to 4.5 stops of shake reduction regardless of the lens used. Sony’s full-frame mirrorless flagship features a 24.2-megapixel stacked CMOS sensor combined with a 693-point focal plane phase detection AF system, which covers approximately 93 percent of the frame. The camera is capable of making 60 AF/AE tracking calculations per second and able to shoot at 20 fps continuously for up to 241 RAW or 362 JPG images at the camera’s full resolution in a single burst. Also advantageous for wildlife photography is the camera’s silent shooting mode and a high-resolution Quad-VGA OLED Tru-Finder that’s one of the best EVFs we’ve used—and there’s no blackout during capture. The a9 has built-in 5-Axis image stabilization that provides up to 5 stops of compensation for camera movement when shooting handheld. The NP-FZ100 battery introduced with this camera provides approximately double the life of previous Sony full-frame mirrorless camera batteries, and an optional VG-C3EM Vertical Grip extends shooting time even further. 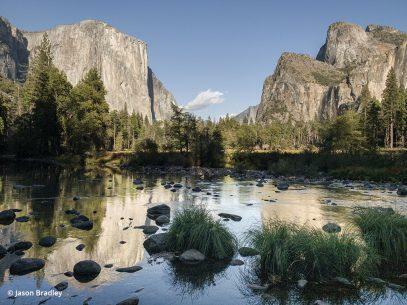 For more info, read our review of the Sony a9, and “Wild By Nature” columnist Melissa Groo’s impressions. 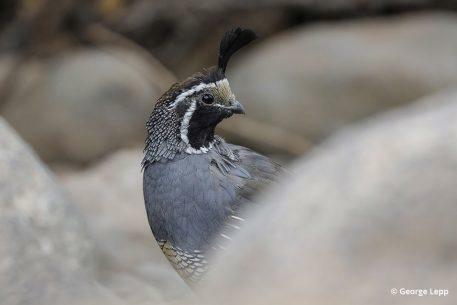 Though not as fast as the a9, the 24.2-megapixel full-frame a7 III is still quite capable for wildlife work, with a max continuous shooting rate of 10 fps in both mechanical and electronic shutter modes.The a7 III’s autofocus system has 425 contrast AF points and 693 focal-plane phase detection points that cover 93 percent of the image frame, the same system used in the Sony a9. Compared to the previous a7 II model, the a7 III is nearly twice as fast focusing in low-light and when tracking subjects. Also like the a9, the camera’s 5-Axis image stabilization system provides up to 5 stops of compensation for shooting handheld. One of the most noteworthy aspects of this camera is its price for the performance it offers, at under $2,000. Read our review of the Sony a7 III. Though Sony’s full-frame mirrorless cameras get most of the attention, the APS-C sensor a6500 has a lot to offer wildlife photographers. 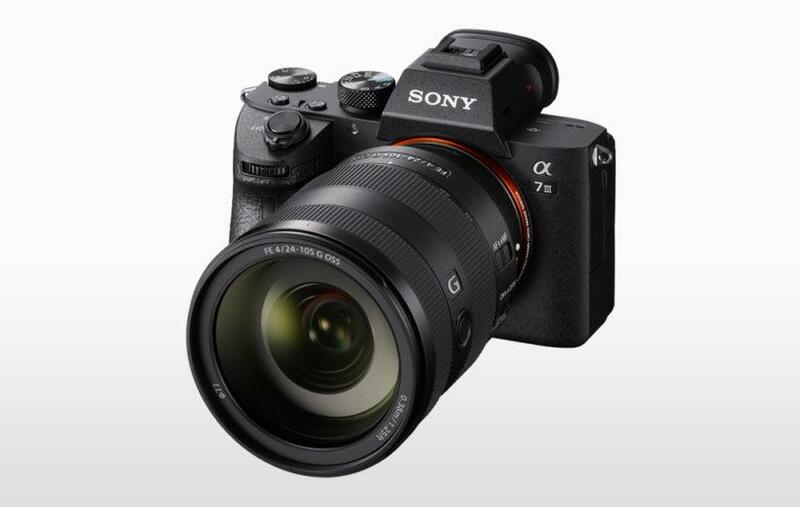 The 24.2-megapixel model can capture images at up to 11 fps and includes Sony’s Eye AF technology that’s found in its more expensive full-frame cameras to lock focus on and track your subject’s eye. Silent shooting is also possible with this camera, though it reduces the capture rate to 3 fps. In-body 5-axis image stabilization provides up to 5 stops of correction when shooting handheld. With the popularity of Sony’s E-mount mirrorless cameras, we were pleasantly surprised when it updated the A-mount a99 to Mark II in late 2016. That was great news for those who had invested in A-mount lenses. 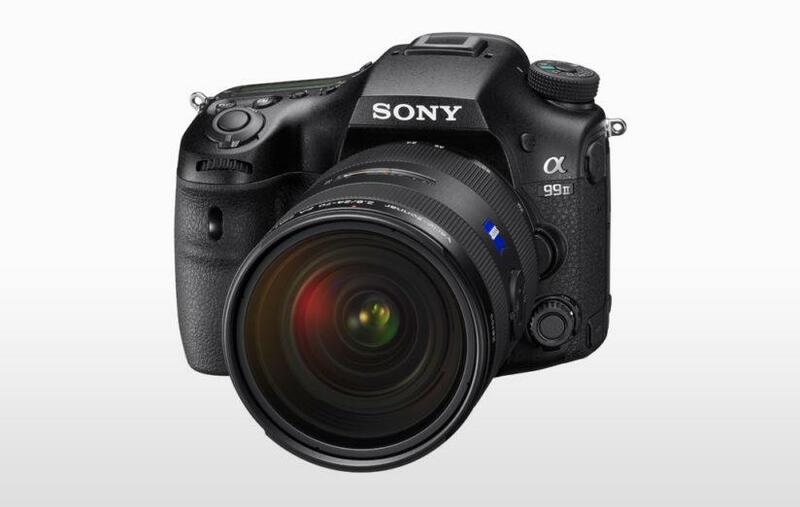 Technically not a DSLR but not mirrorless either, the a99 II is built around Sony’s Translucent Mirror Technology, which passes most of the light to the image sensor, but reflects a small amount to the 79-point phase-detection AF system. 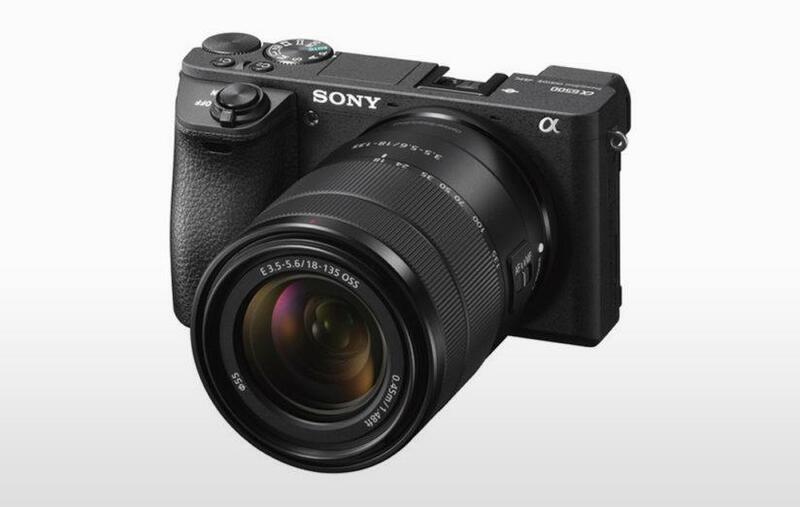 In addition to that dedicated phase-detection sensor, the a99 II also has a 399-point focal plane phase detection AF sensor similar to those found in Sony’s mirrorless cameras which enables capabilities like Eye AF. At full resolution, the a99 II can capture at 12 fps with AF tracking, doubling the capture rate of the original a99. That’s impressive, because the Mark II also nearly doubles the resolution of its predecessor (42.4-megapixel versus 24.3-megapixel). Though the future of Sony’s A-mount cameras is uncertain considering the popularity and capability of its E-mount line, the a99 Mark II is a significant upgrade from previous models in this series. Glad to see you mentioned the Sony SLTs. The A65 is virtually the same as the A77 in a less rugged build for even an better price. I have found the Panasonic Lumix FZ 200 to be ideal for these purposes. It is light, One lens 28 to 600 without aperture loss. Great for birds in flight and animals at some distance, with all the ‘bells and whistles’ to make it a great for hiking etc. I’m glad to see you mentioned the Sony’s too. But I strongly disagree with what you said about the A77’s electronic viewfinder not being ideal for birds in flight. I am guessing you are going by something you have read rather than first hand experience.Yes it takes a day or two to get used to but after that you you adapt and the EVF id no problem at all for flight shots. As a matter of fact the EVF is a HUGE advantage for wildlife photography as you can see your exposure before you press the shutter.. That’s huge. My Canon EOS 60D has done incredibly well for me and is not too different from the 7D in performance, 2fps less haven’t made much difference so far. Anyway it is the personal skill that counts, more than the equipment I’ve seen plenty of people with expensive full frame cameras that would have been just as well served by point and shoots due to skill, or lack thereof. A writer once asked me what camera I used because it took great pictures and must be expensive; I told him he must be using a really expensive Pelican fountain pen. Point being, gear is great; skill is better! I am also a A77 Sony user, and I can say that this camera is excellent for AF using the EVF. I captured numerous Eagle shots this Spring and the camera responded beautifully. My photography buddy, was using a Canon and even tho we were using similar zoom lens, he was not matching the AF speed nor FPS that my A77 attained. The picture quality was excellent. I agree with the previous comment that you need to try it before passing judgement. I’m glad to see someone else owns a Sony. I have the Sony A200 & in March bought the A77, which I love. Still learning alot about it. Sorry for the question from a newbie… I’d like to start wildlife/landscape photography and I can’t decide between a Nikon D7100 and a Nikon fx. The second one has the advantages of a full frame camera, but from what I read on the reviews it looks like the shutter is less precise and a little slower. Anyone has experience in using both? The shutter problem can be a “real” problem in everyday use? Can I use it for wildlife photography with lens 18-105mm ??? hi, i am a beginner and planning to buy a DSLR. 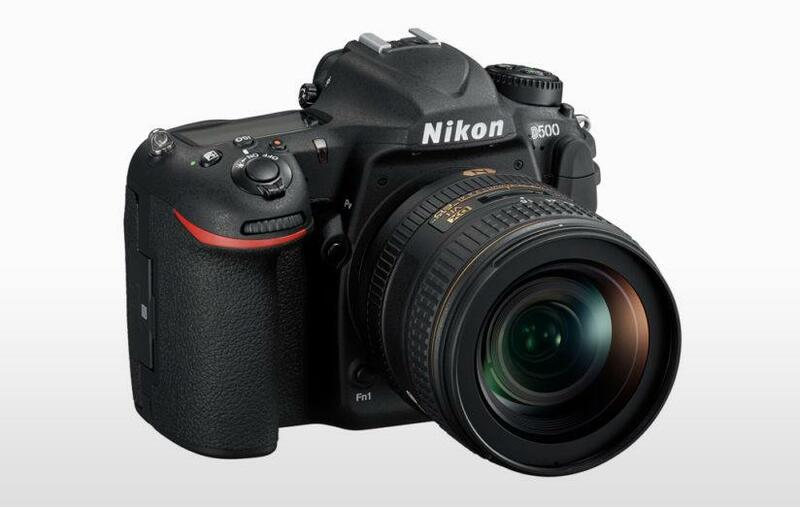 Now if i buy Nikon D5200 i have a choice to spend $1200-1300 on lenses, where as if i buy D7100 i will have less money to spend on lenses but d7100 supports autofocus. so i may be able to buy cheaper lenses with no autofocus. A recommendation or opinion would be highly appreciable. Thank you. I am wanting to buy a camera for wildlife photography, in particular bird photography, and know nothing about cameras. (But I am about to start a diploma in photography, so will be all over it soon) I’ve been practising for some time with average cameras, but I obviously require the bells and whistles for exceptional bird in flight photographs. I am willing to spend up to $5-$6,000. Any specific recommendations? For the money, canon 70D is the best choice for wildlife because of its great autofocus. As a professional photographer I can impart this tidbit of knowledge. 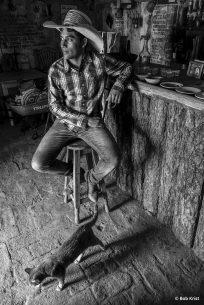 Megapixels is important and a decent body, but in almost all cases it is the Lens. Canon’s 70-300 series of lens is OK but unless you get the L version of the lens you will probably be disappointed. I have used my Canon 70-200mmm f/2.8 L lens with a matching 1.4 & 2x converter and it was much better than the 70-300 4-5.6. Sigma makes great long lens zooms if you can find them cheap otherwise invest in a good name brand long lens over 300mm. I’m new to photography always had the interest but never the time, so can anyone tell me if you use a remote for still life., Like deer? there are a lot on my property and I want to be able to capture everything I can, but they get spooked so I was hoping I could set up my tripod and a new camera with a remote control device. any suggestion? The Nikon D750 beats the D500 hands down. @Terry Julien How can you possibly decide that before the D500 has been released? D750 is an amazing camera – I have one, but if you read the article … you would realise the extra reach of DX and higher burst rates (Not to mention the next generation processor and twice as many focus points) is likely to make the D500 far superior to the D750 for wildlife… but as it hasn’t even been released yet, we have to wait and see. I have a D750 but use a D7200 for wildlife. Had a chance to shoot a D500 during a Nikon roadshow and it’s awesome, but not yet shipping. I agree with Ken Copen. 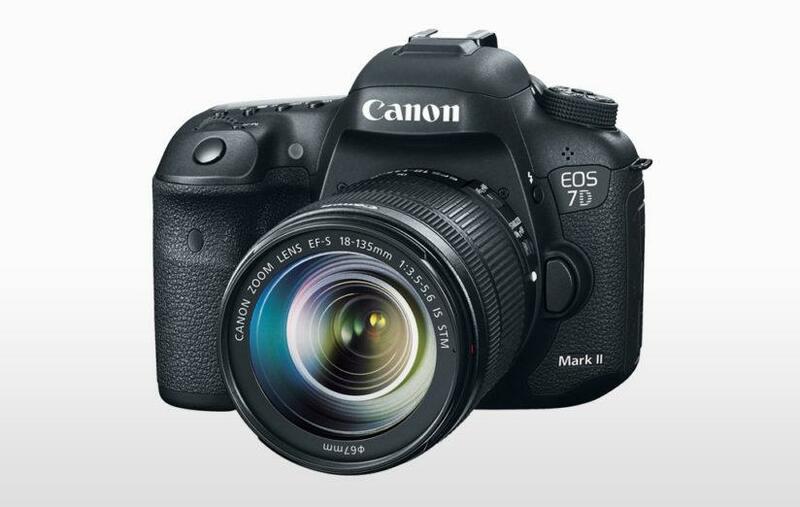 Canon 80D mentioned and not 7D MKII? Why now? 64 cross-type autofocus points. F/8 autofocus compatible (I use 100-400 L II + 1.4X III) and get autofocus w/that combination … granted, it’s center point only, but hey, I use center point and recompose routinely anyway. I have a 7Dii. What an absolutely great camera for the money. I am just struggling however with capturing a horses moment of suspension, and think I may need to go for the 1DXii for that slightly faster burst rate. I do have to say though that the 7Dii is absolutely fantastic VFM, especially as prices have dropped recently to less than ??1000. The 1DXii is now over 5 times the price and I am struggling to justify that, even though I need the frame rate. 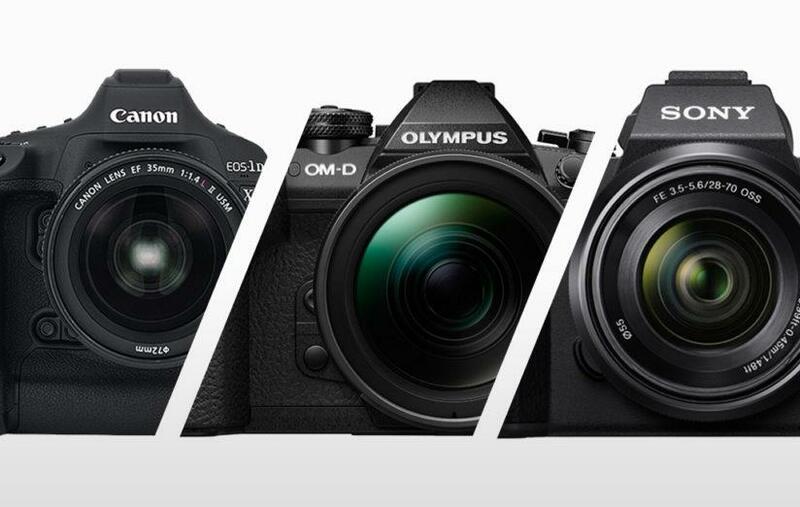 Hey You have the Best collection of DSLR Camera for Digital Photography. outstanding website!